Update: Please read all the way to the bottom as instructions have changed. 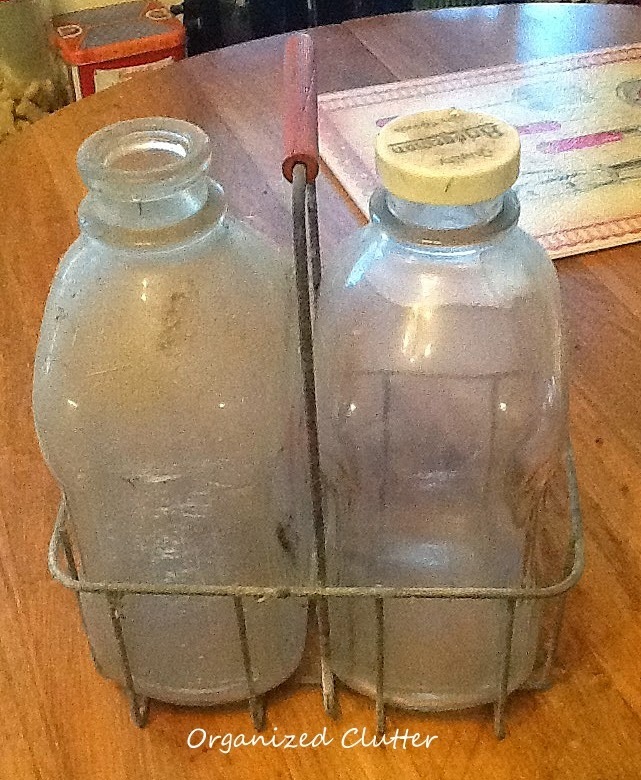 I got these two older Bridgeman milk bottles and little wire carrier from my neighbors recently. 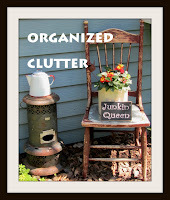 The neighbors had them stored in a old shed so they were very dirty. So I cleaned up the bottles and carrier in some hot soapy dishwater. I poured almost a whole bottle of acrylic light ivory craft paint inside each bottle. I swirled it all around. I did add just a couple tablespoons of water to thin the paint. My husband thought this was foolish to add the paint, but I really like the look of the bottles with paint inside. It looks a lot like milk, and the name is much easier to read. What do you think? I thought about using the bottles as a vase, but the dried hydrangeas just seemed to cover up both the bottle tops and the handle of the carrier too much. 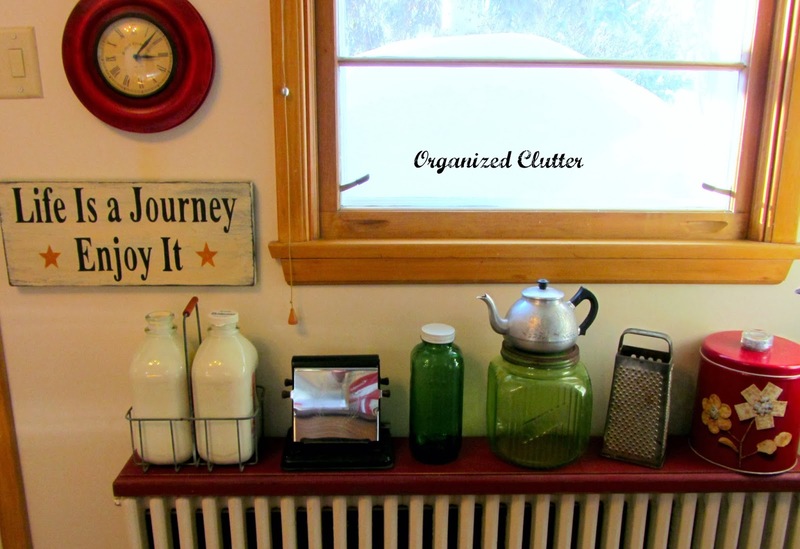 I added the milk bottles and carrier to a wood shelf on my kitchen radiator with vintage kitchen ware, for now. It will probably get moved around! When I got up this morning the acrylic paint I put inside the milk bottles had slid down about 1/3 of the way down in several places exposing bare glass. I had read that other people on pinterest had used acrylic paint inside Mason jars so I thought it would stick. But as you can see here, the acrylic paint washed off quite easily. But I'm no giving up! Here are the milk bottles with Annie Sloan pure white chalk paint inside. I think this will work because chalk paint stick to almost anything! Sorry! I love the paint in the bottles. It really does look like milk in them. Wow...it really looks like milk! Love it!! Oh I think it is purely perfect! Much like the milk from those days. I bet is was delicious with not a drop of anti-biotics to ruin it. Only it's creamy goodness waiting to be guzzled with a plate of warm cookies! That looks so much like milk...fun! Carlene, I love the graphics on these fun milk bottles. The white paint really does make it show up better. I have four vintage ones and I love them! I like how the paint looks like milk, but not sure if I want to do that to mine. I like them plain, but the flowers now and then are a fun change. Without! I love the look of those bottles! What a great idea! 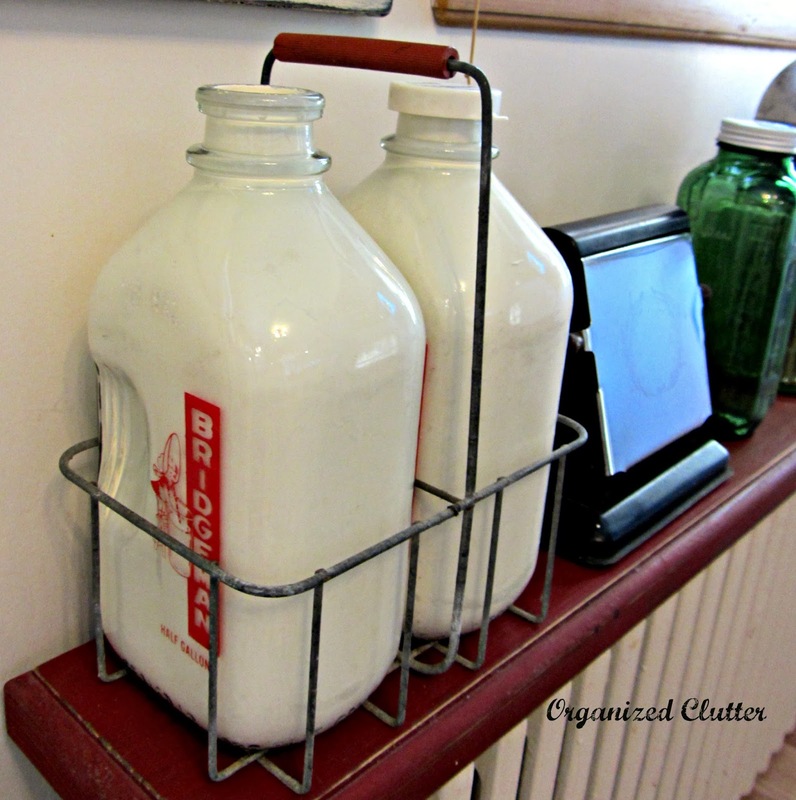 What a good idea to line the inside of your milk bottles with white paint! Love the milk bottles and wire carrier they look great! The milk bottles and crate are really great! Love the graphics and the 'milk' paint was a good choice. I say no the the hydrangeas! I love them without the flowers. I LOVE them with the paint inside. I also have two milk bottles and I will be doing the same thing this afternoon. Thanks for sharing. Very clever Carlene. It does look like they are full of milk and the lettering shows up much better. Sometimes, when we have guests we will fill a milk bottle with milk and sit on the breakfast table for serving. So I would leave mine empty. Milk get much colder in glass than plastic. Carlene . . . I really like the idea of the white chalk paint inside the Bridgeman's bottles. It really DOES make the graphics POP and really makes for a sweet display! Thanks for the ideas you share. Love it! But I probably would of kept them just plain so I could use them. But they are certainly super cute! Love them. I think they look best without the Hydrangea.